Wales, Welsh Papists in Paris, 279. -, mentioned, 495, 502, 519, 522. -, -, letter from, 164. -, -, letter to, 374. Wallachia, 'La Grand,' Prince of, 257, 286, 509. -, mentioned, 98, 100, 108, 129. Walner, , English Papist in Paris, 279. -, mentioned, 163, 263, 266, 298, 349, 350, 361, 369, 402, 466, 486, 509, 510. -, -, letters and dispatches from, 112, 153, 211, 237, 241, 267, 313, 362, 366, 409, 410, 421 (? ), 478 (?). -, -, letters and dispatches to, 5, 9, 12, 22, 26, 29, 39, 40, 64, 65, 72, (73), 76, 79, 81, 85, 94, (97), 100, [110 ? ], 111, (113), (126), 127, 132, 135, 137, 140, 141, 144, 148, 150, (160), (162), (168), 169, 195, 197, 200, 208, 209, 235, 239, (? 247), (257), (262), 271, 274, 278, 289, 292, 293, 294, 295, 299, 300, (301), (302), 314, 316, 320, (321), (322), 326, (327), (327*), (328), 329, 330, (332), 333, 335, 337, (341), 346, (357), (371), (372), 376, 388, (392), 393, 394, 395, 408, 414, 415, (? 418), 420, (? 424), 425, 426, 428, 429, 430, (433), 442, (448), (? 449), 451, 452, 454, 458, 459, 462, [? 465], 467, 468, 469, 470, 471, 472, 473, (? 483), 484, 485, (? 492), (? 495), 497, 498, (? 501), (? 502), 505, 506, 511, 515, 516, 517, (? 519), (? 522), 526, 527, 529, 532. -, -, endorsements, etc., by, or by his secretaries :5, 23, 28, 81, 107, 113, 116, 122, 153, 212, (?) 287, 289, 299, 300, 315, 316, 317, 320, 332, 345, 364, 434, 450, 456, 476, 478, 484, 517, 526, 527. -, -, his mark, 138, 347, 348, 407. Wambrechies, Vamercy, enemy fortifying at, 111. Warbutton, , English Papist in Paris, 279. Ward, , , , English Papists in Paris, 279. Warden, , English Papist at Rouen, 279. Warner, , English Papist in Paris, 279. 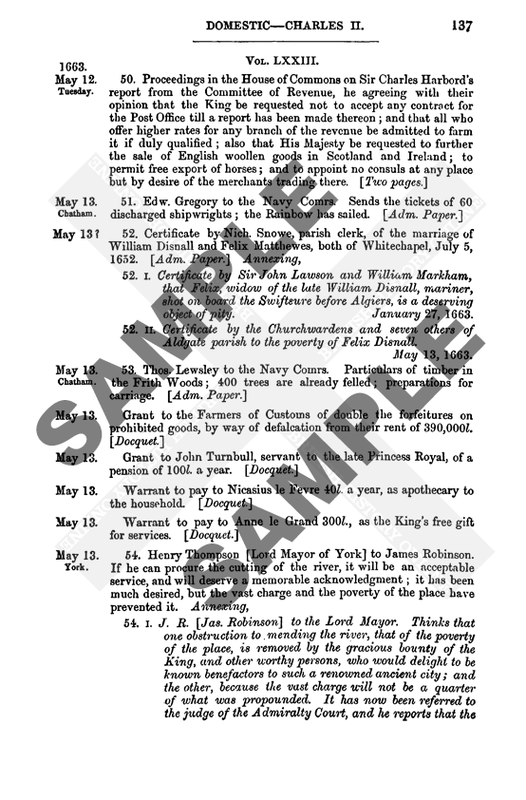 -, , , of Staffordshire, English Papists in Paris, 279. Warneton, abandoned by Spaniards, 84. Warwick, Earl of. See Dudley, Ambrose. Wastene, forsaken by Malcontents, 96. -, , son of above, English Papist in Paris, 279. -, John, spoiled by French pirates, 10. Webb, , , English Papists in Paris, 279. Webbe, Dr., friend of Earl of Westmoreland, 401. Welden, house in Friesland, 426. Weimar, Duke of. See John. Wells, Wellis, Willes, John, 'Furrier,' letter bearer from ambassador in Paris, 97, 112, 113, 126, 162, 209, 215, 299, 352, 516. Welsh, Martin, spoiled by French pirates, 10. Wentworth, English Papist in Paris, 279. Wercke, Varch. , van der, Pensionary of Antwerp, 66, 237, 394. Werny, letter dated at, 84. -, letters and dispatches dated at, 166, 229, 248. Westmoreland, Earl of. See Nevill. Weston, , Licentiate in civil law, English Papist in Paris, 279. Wevelghem, French and Flemings quartered at, 84. Wharton, English Papist in Paris, 279. Whetston, , English Papist in Rouen, 279. White, Henry, spoiled by French pirates, 10. -, Thomas, 'solicitor' to Bishop of 'Faro,' 310. Whittington, , , of Gloucestershire, English Papists in Paris, 279. Whyte, , Irish priest in Paris, 252, 279. Wight, Isle of, 270, 474. Wilbrome, , , English Papists in Paris, 279. Wilkes, Thomas, Clerk of the Council, 474. Wilkin, Thomas, spoiled by French pirates, 10. Wilkinson, Dr., English Papist in Paris, 279. Willan, M., killed before Maestricht, 20. William, Duke of Cleves, 459, 467, 476, 496, 511. -, mentioned, 231, 380, 395. Williams, Walter, servant to Walsingham, 490. Williamson, Sir J., endorsements, etc., by, (?) 104, (?) 121, (?) 244. Willoughby, , English Protestant in Paris, 279. -, mentioned, 112, 150, 159, 209, 215, 242, 327, 345, 372, 466, 476. -, -, letters and dispatches to, 103, 161, (? 163), (? 189), 196, (? 265), (? 303), 306, 334, 342, 375, 379, 446, (? 493). -, -, endorsements, etc., by, 54, 61, 89, 342, 375. -, Thomas, spoiled by French pirates, 10. -, , priest in London, 401. Winchelsea, 'Winsellse,' examination of Spanish mariners at, 270. Winchester, diocese of, mentioned, 13. Windam, , of Norfolk, English Papist in Paris, 279. -, Cobham sends letters by, 358. Windsor, Cobham's suit at, 299. Winter, Sir William, 476 (p. 469). -, young (vrob. John), 474. Wirtemburg, Wurtemburg, Wittembergh, Duke of. See Lewis. Wise, Thomas, spoiled by French pirates, 10. Witthem, Jean de, Seigneur de Beersel, Marquis of Bergen-op-Zoom (Earl of Bergen), 287. Wolstrop, , English Papist in Paris, 279. Womwell, English Papist in Paris, 279. Wood, , English Papist in Paris, 279. Woodrooffe, , English Papist in Paris, 279. Woosley, , English Papist in Reims, 279. Wootton, John, English Papist at Rouen, 279. Worthington, English Papist in Paris, 279. -, -, letters from, 39, 40. Writhesleys, , , of Hampshire, English Papists in Paris, 279. Wroughton, , English Papist in Paris, 279. Wyck, enemy rally there, 5.